IMAGINE if we ever had a front page like this? This image was something I made up on Photoshop today to show you what could happen if we let our politicians think they can get away with doing us damage. 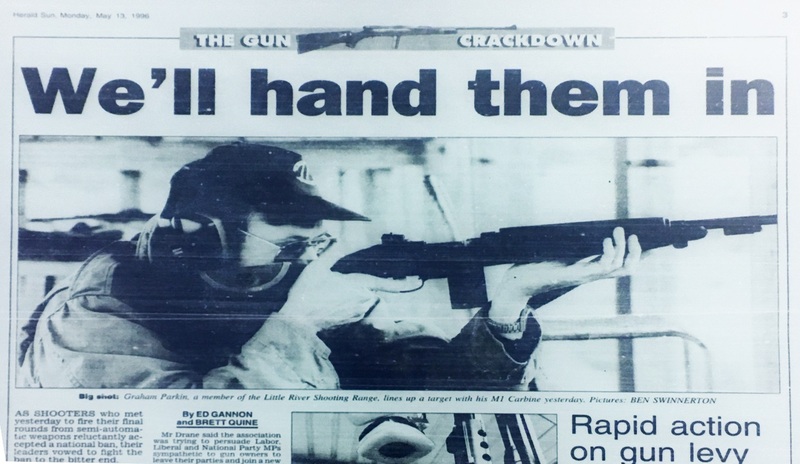 Those of you old enough to remember ’96 saw this, and many other full front page stories on guns after Port Arthur. 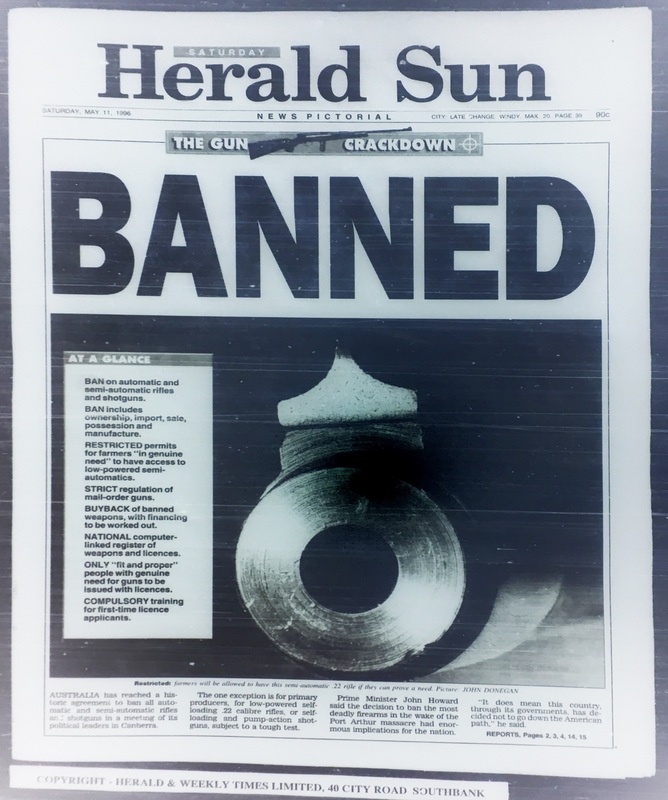 This was one of a number of similar full front page stories on the tragedy at the time – many devoted to the tragedy, and others aimed at us for more than 2 weeks, even though we had done no wrong. Anyway this is what can happen, and why you need to take an interest in politics before it takes an interest in you. .. and here’s one of the many, many stories from the time. Imagine if this headline got reused.